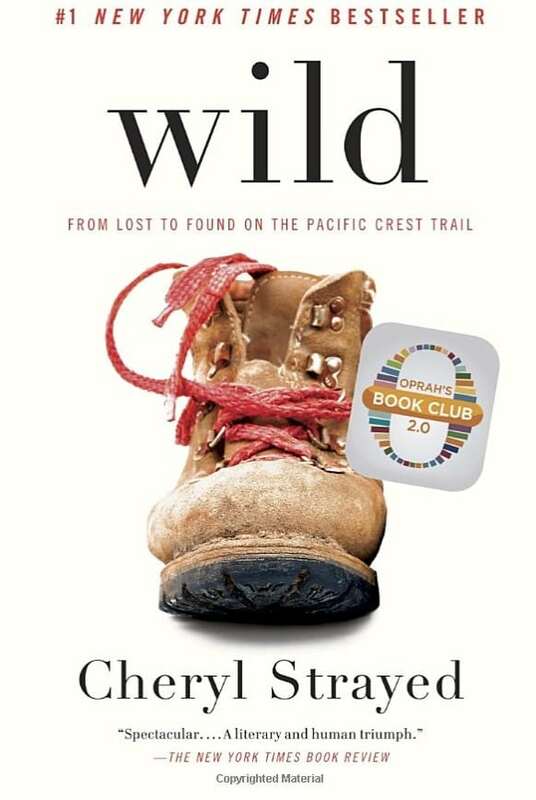 After the death of her mother, the breakup of her family and subsequently experimenting with heroin, Cheryl Strayed made a radical decision to hike 1,100 miles up the Pacific Crest Trail from California to Oregon. She was 26, alone, in an unforgiving wilderness, with no hiking experience. 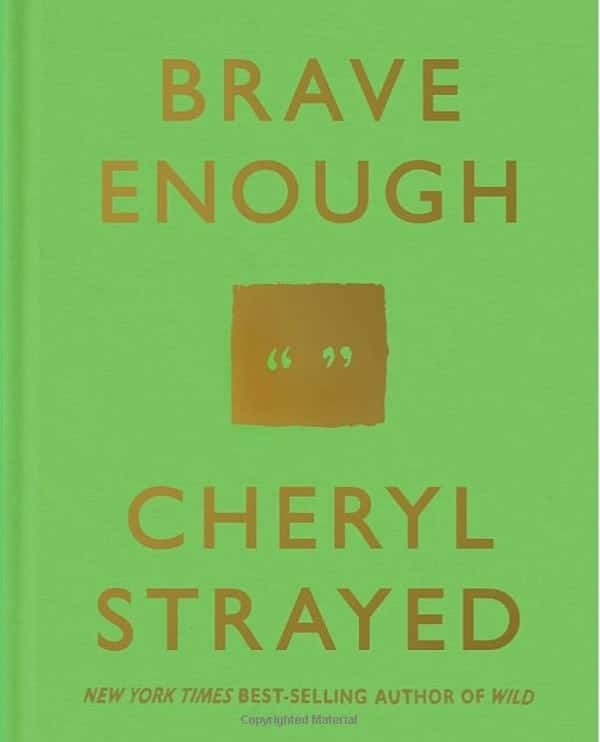 Wild, Cheryl’s powerful memoir about her journey became a number one, New York Times Bestseller, a film, starring Reese Witherspoon and the first selection for Oprah’s Book Club 2.0. From heartbreak and darkness to clarity, Cheryl holds nothing back. Her transparency is jaw-dropping. Wild is one of my favorite books, and as I consider whether to write my own memoir, I spoke with this gutsy woman about fear, healing and writing. For those of you who write, this interview will transport you to the front row of a Cheryl Strayed writing class. If you’re not a writer, you’ll welcome Cheryl’s honesty as she talks about the fear in all of us and how to deal with it. This is an edited transcript of my recent conversation with Cheryl Strayed. CHERYL: I’m sorry you missed our workshop… One of the things that came out of it was that I promised to finish my next book by Elizabeth Gilbert’s (author of Eat, Pray, Love) 50th birthday, which is July 18th, so I’m pulling back from teaching to finish my book. BRENDA: I’m sorry as well. Next time… I love that your name is a complete sentence. But it came from deep reflection, understanding that I was going to get divorced; that I was 25 or 26, and I had changed my name when I got married… The easiest solution would have been to drop his name, but it felt so strange to go back to being Cheryl Nyland, the name I grew up with… Also that’s my father’s last name, and I don’t have a relationship with my father or any good memories of him… so I felt like it would be cool and symbolic and real to say, ‘Okay, I’m going to make my own life. I’m going to make my own heritage,’ if you will. I wanted to find a word that would be mine, forever… I had to really think about the meaning of the word I chose, and that’s very difficult. You don’t want to be too grandiose or whimsical, or overstated, or too negative or positive. So as I went through the names I finally just landed on this word “strayed.” When I looked at the definition, I loved the idea that being a stray contains both vulnerability and strength; a sense of setting off on your own course and being lost, but also being really resilient and savvy. Being out in the world, unprotected… without a mother and father. One of the definitions of the word… when you look really deep, is someone who carries his or her home on their back. I love that! I thought, ‘Wow!’ Especially in my transient 20’s. BRENDA: I write a lot about survivorship, conquering our fears, so I identify with being the stray and having to shore up your own self; deal with your fears and keep marching forward. Fear is a narrative we tell ourselves: We’re afraid, or not afraid as we go through our day. In those times when things were really dark for you, what did you tell yourself, or were you self-medicating with other things? CHERYL: I wrote in Wild that fear is the story we tell ourselves. What I really mean by that is that it’s not so much fear doesn’t exist–or the answer is to say it doesn’t–but rather to revise our relationship with fear. A lot of times many of us say, ‘I can’t do that because I’m afraid,’ so we let fear be the thing that decides for us what we will and will not do; what we can and cannot do. This has been a conversation I’ve had inside my mind throughout my life, even right now. When I was hiking the trail my mantra was ‘I’m not afraid,’ saying that, of course, when I was afraid… What I was trying to do was say, ‘I see you, fear, and I’m going to engage with you, but I’m not going to let you boss me around. I’m not going to let you be the voice that lets you guide me throughout my life, and I think that’s what courage is. One definition of courage is wrestling with that fear and doing that thing anyway. That sense of fear was in some ways amplified because of the solitude on the Pacific Coast Trail. In some ways so was the sense of courage. I feel lucky! I feel fortunate that I got to do something that scared me… I think about the best things I’ve done in my life, and they’re always the hardest things. They always contain some element of fear whether that be in creativity, creation, my writing work, putting it out there, hoping people love it, hiking trails. Or even in my mothering life. I’ve never been more at the mercy of the universe than I have as a mother. My heart’s walking around out there in their bodies. BRENDA: Fear, that is our truth for most of us, that we’re afraid to do things, but I’ve heard you say if we tell that truest, darkest story in us, we’ll find so many people who are standing there with us. It seems to be a universal thing. The need to connect and be validated and maybe find our tribe. I think, for me that’s the number one line on my job description as a writer. I think that’s the mission of art: to connect us with one another, to remind us of our own humanity. Even though our sorrow is original, our experience is not. This cuts across every single divide, whether it be generation, era. That’s why we can read something written 500 years ago and recognize ourselves in those words. It cuts across gender and culture and religion. And we come to art because in that profound, universal thread, we find over and over again—I think for me—it feels like the divine, the sacred and that’s what makes me brave. BRENDA: Isn’t it interesting that it’s fear that keeps most people from becoming brave? CHERYL: Absolutely! That’s what’s so fascinating. In my writing teaching, it’s the first thing we talk about in my classes. You have to get over this message that you’ve received since the very beginning that to get people to like you, you need to seem a certain way: You need to seem content and happy and perfect. What’s so funny is if anyone of us ever do attain whatever notion of perfection we’re all carrying around in our heads—whether it’s perfect bodies, perfect life—that person is actually the most insufferable person in the room! (Laughs)…That is someone none of us relate to. BRENDA: It’s the person to be pitied. CHERYL: That’s right, and you know why? Because we know that person is delusional and lying. I’m not saying the only true story about us is one of suffering and struggle, but I think even the happiest, most evolved people are going to be able to share—quite openly and readily with you—about their real human struggles. The Dalai Lama doesn’t sit there and say everything is golden. I think stepping into your own vulnerability is the most powerful thing you can do in the direction of courage but also connection, drawing people to you. People who do not know me, walk up to me and say, ‘I love you’ to me, because I have shown them my insides on the pages of my books, and they love my insides because they’re their insides, too. That’s connection. BRENDA: Where does your quote “Be brave enough to break your own heart” come from? 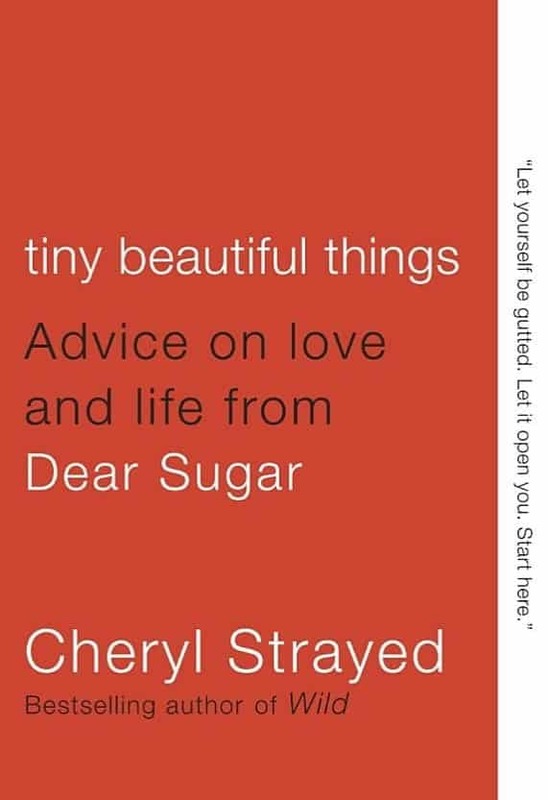 CHERYL: That comes from the title column of my book, Tiny Beautiful Things, which is my collected Dear Sugar (anonymous, online, NYTimes) advice columns. Have you read that? You have to be brave enough to break your own heart. It was really really painful, and when I was breaking his heart, I was also breaking my own. I had to be brave enough to break my own heart in order for my life to go onward. Here, again, we’ve been told that something has to be really terrible before we can leave it. You have to hate your job before you do something else, or your marriage has to be an absolute disaster… I’ve learned sometimes you have to let things go—or speak up—even if it also causes you to feel a sense of loss or sorrow or heartbreak. That’s another quality of having a courageous life. Sometimes stepping into sorrow. BRENDA: Has success changed how you look at life and how you write? CHERYL: For a longtime I would have said no, but now I’m vulnerable enough to admit that’s not true. My success has been a boost to me in terms of when I sit down to write. A lot of people have loved what I’ve written in the past. That’s really flattering and exciting. Then this other part of me is afraid I’ll disappoint all these people. In my younger years as a writer, the thing I’d be thinking is, ‘I’m just going to write this, and probably no one will care.’ This fear of never being read by anyone… That’s been extinguished, but it’s been replaced by a different fear: Disappointing people who will want to read my work. So I’ve had to say, again, ‘Welcome to the fear of disappointing the millions of readers who say they love your other books. What’s going to happen if they say they’re all disappointed? Nothing. I’m still going to write this, so get out of the way.’ That’s been a struggle. It’s a presence in my mind. I’ll admit to that. CHERYL: Thank you! I’m hoping (laughs) that’s how it turns out. As a writer, yourself, you know how you have those thoughts. I have to go on writing. That’s always the thing in my writing life I always have to overcome. The doubt. You just have to push ahead. Ever since I was a little child, I always wanted to be a writer. I wanted to be the person who’d write something that would make that kind of connection and to have had that actually happen. It’s never-endingly humbling to me. It makes me feel really grateful that I showed up “at the desk” all those metaphorical years. BRENDA: I like how you use a sense of place. Place can often be our best character. Certainly with Wild you had a great one. Talk to me about sense of place. CHERYL: Thank you. I think it’s essentially a character. A place has a story too. Just like people have a story, a place has a sense of history, a culture; that vivid, palpable, physical world we want to bring onto the page is always there and present for us. Place is one of the essential elements of telling a good story. What did it feel like to be there? What did it look like; what did it sound like? In some ways it’s that kind of clarity we were talking about with journalism. It’s allowing the place to embed or imbue the narrative with a visceral sense for the reader… Whether you’re writing fiction or nonfiction, how does it feel to be inside of this body in this place? Am I feeling memories; am I feeling like I’m in a foreign land; I’m home; I love the heat; I have to get out of here because everything here is sharp and hurting me, and I’m afraid? It gives you so many opportunities when you use place at every turn. So many opportunities to tell the story in ways that are far, far more complex and enriching than if you just ignore it and focus on whatever is going on in the character’s mind, or just one element of the character’s experience. BRENDA: I love that it took you a while before you wrote Wild. Did it gradually dawn on you that perhaps the time was right? You were ready to tell it? CHERYL: Yes! That’s it exactly! 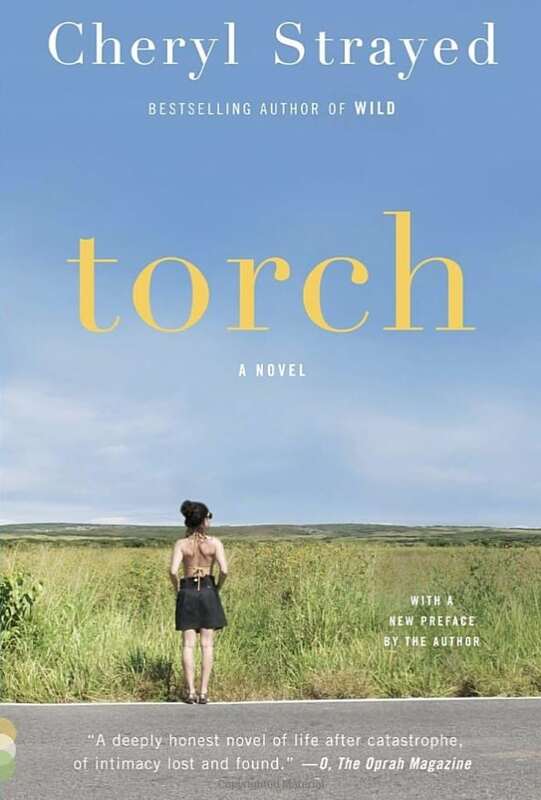 I wasn’t walking the trail and thinking, “This is going to be a book.” I was actually thinking about my first book, which was my novel, Torch. That was the story I was set on writing, first, and did. I thought yes, I did the Pacific Coast Trail, and maybe some day I’ll write about it… After Torch came out, I was like, what’s next and got to thinking is there anything to say about this experience I had? It’s one thing to have an experience that’s interesting or meaningful or compelling, but it’s quite another to really be able to use that experience in a book. I think art really requires us to have the capacity to understand the experience, not just as something interesting that happened to me, but the bigger story of what is the meaning other people might find common ground with? I was always conscious that the only way to tap into that universal humanity was… to tell the very, very specific story of my experience there, by way of writing with the sort of consciousness I was talking about. Essentially the human struggle: Why do we go on journeys? What is revealed to us when we’re alone, or what is revealed to us when we find ourselves in over our head and have a lot to learn, or have a pack that’s too heavy to carry? Those stories are not just about me. What happens when the person you love more than anyone on Earth dies? That happened to me, but it’s not only my story. So I wrote my story with the consciousness that I was writing the stories, throughout time, that so many people have lived and will live. BRENDA: Are you writing fiction or nonfiction with your new book? CHERYL: I’m writing nonfiction. I do plan to return to the novel, to that form, but the next book I’m writing is another memoir. I’m in the midst of it right now and gunning to get done, soon! By soon, by summertime. CHERYL: (Laughs) Yes, I did. I need a deadline. Like a lot of people, there’s nothing like a deadline that gets you going. BRENDA: I wish you all the best with your book, and I thank you for your time. CHERYL: Thank you, Brenda. Have a wonderful time in Montana! 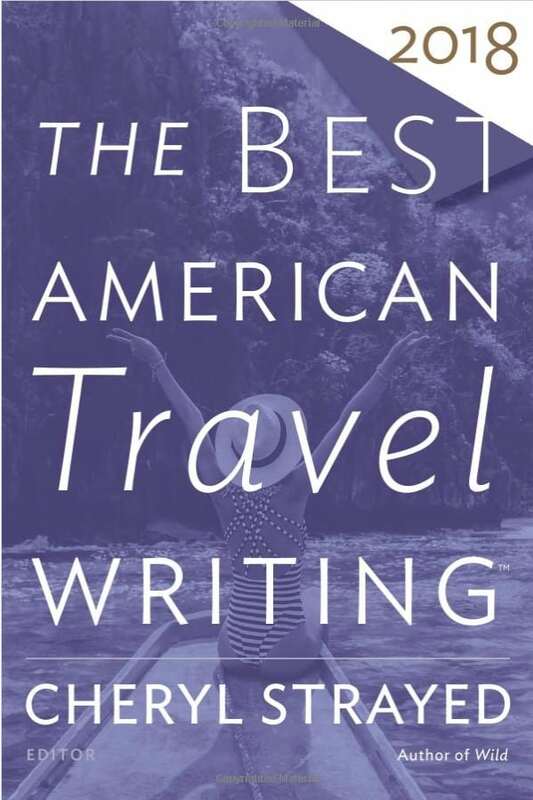 The Best American Travel Writing, Edited by Cheryl Strayed, is in bookstores now! What did you get out of the conference? Did it make you braver? I am printing this off for future reference and will share in this week’s newsletter. What a wonderful and timely article, Brenda! These are all things I’ve been thinking about on my travels… and thinking about for my next book. This is the human condition , and your article shows the necessity of being brave enough to be open,m and vulnerable, because that’s when connection can happen! As always, thank you! I would love to take a writing class. How can I take Cheryl’s class. I do think when you expose your vulnerabilities you get closer to people. Whether it be writing or conversing. I’m redesigning a new blog. One of the photos is of me wih the flu looking really miserable. I’ leaving it up so that people can identify with one ugly, pale, grey haired woman. Don’t we all look terrible with the flu? Don’t tell me I’m the only one? Just want you to know. I love knowing you post on Friday. There’s a certain joy and security knowing you’ll be there. INTERESTING ……….I”m going to ORDER HER BOOK WILD RIGHT NOW. READ IT THAN GIVE IT AS A CHRISTMAS GIFT! SHE SOUNDS LIKE A GREAT WOMAN!!!!!!! What an awesome interview Brenda and talk about timely. It is reassuring for me to see that other people have the same struggles, yet are able to push through them. Maybe there is hope for the rest of us. I look forward to becoming a regular reader of your blog.